Undoubtedly, the renowned archipelago of Maldives is listed as the first in top 10 destinations for couples in Asia thanks to its superior featuresin all aspects for a romantic holiday: classic beach stay, romantic privacy, true luxury treatment, special isolated location. The pretty island lies arrogantly in the middle of the Indian Ocean, currently offering the most delicate and luxury travel service in the world since this island nation has been developed luxury travel as its key industry. Every corner of the Maldives is a small paradise to relax and enjoy life; most of the locals are experienced luxury travel staffs. If you would like to get rid of daily stress, taking your partner here to be the king and queen of beaches is not a bad idea. People said that Maldives are magical islands; they can conjure everything you wish just in a blink of an eye. If you wish a swimming, snorkeling or diving adventure, then crystal-blue lagoons and stunning coral islands will show up, bringing thousands of species of marine life. If you desire for a private romantic and exquisite dinner on the beach, then your resort staffs will help to cre-ate one. Maldives are in top 10 as it’s whe-re you realize your dreaming holiday. Hoi An ancient town is a must-see in every Vietnam luxury tour. It is not a melodramatic destination; it’s simple, gentle and friendly as its own name, meaning “the rendezvous of peace”. That’s why visitors always find peace in their mind when they travel to Hoi An. The narrow old streets of Hoi An leading to the traditional culture behind lush gardens and ancient houses turn out to be a special destination for couples. This c-harming town is considered the most romantic town for couples thanks to its gorgeous beauty by night with the cozy light of hundreds of silk lanterns. Especially in full moon nights, the small town is lightened up with the magical light f-rom the colorful lanterns, which is an incredible backd-rop for your romantic nights in your honeymoon. Beside the laidback time in the center town, Hoi An also offers the stunning beaches of Cua Dai and Cham island for your private time on the beach with your partner. A couple days on the beach will maintain your trip with eternal feelings. 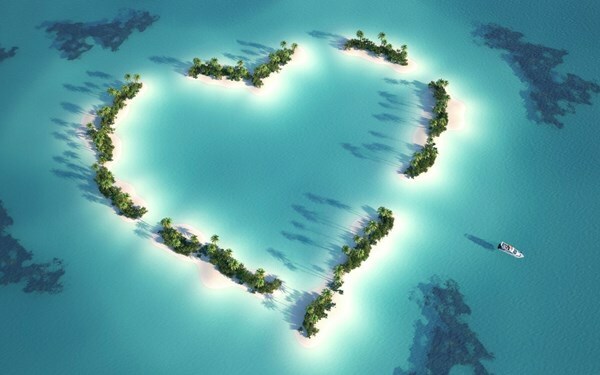 Tropical beaches are never obsolete fora couples holiday. The Palawan archipelago of 1780 islands on the western part of the Philippines is a perfectly romantic destination for couples. Known as “The Last Ecological Frontier of the Philippines”, Palawan is home to the crystal waters and pristine beaches and biodiversity of marine life. Palawan also offers ancient limestone cliffs in harmony with incredible landscape of sandy beaches. The islands attract couples very much with its secret areas of beaches dotted with tropical forests, the haven for private atmosphere.